The finish line is within reach for the UCSB men’s basketball team as the second-place Gauchos host Hawaii tonight at the Thunderdome for senior night. In the team’s last home game of the season, Santa Barbara is battling for positioning entering next week’s Big West Tournament, and will honor seniors Kyle Boswell and Shawn Moore, all in an ESPN televised game. Santa Barbara enters the contest with a 19-8 record on the season with a 10-4 conference mark while fourth-place Hawaii is 19-9 overall and 8-6 in the Big West. The last time these two teams squared off, the Gauchos came away from the islands with a 75-64 victory back on Feb. 6. UCSB enters the contest with victories in three of its last four contests, previously defeating UC Davis in a road contest last Saturday night. The Gauchos, however, dropped a game at UC Irvine last Thursday, a victory which propelled the Anteaters to first place in the conference. While UCSB clinched a position in the conference tournament long ago, the team’s seeding is still in question. Theoretically, the Gauchos could finish with anywhere from the No. 1 to No. 4 seed in the tournament. Leading the effort to regain momentum entering the tournament is junior center Alan ‘Big Al’ Williams. Big Al ranks eighth in the nation in scoring and is second in the country in rebounds per game. Against Hawaii, Big Al powered the Gauchos with game-highs of 20 points and 17 rebounds. Equally as impressive has been the play of junior point guard Zalmico Harmon, who ranks second in the nation in assist to turnover ratio as well as second in the conference in assists per game. Hawaii will certainly present a challenge to the Gauchos, both down low and on the perimeter. Senior forward Christian Standhardinger is one of the premier big men in the conference, ranking fifth in points and rebounds per game in the conference. Sophomore forward Isaac Fotu, last season’s Freshman of the Year, ranks 10th in the conference in points and rebounds, giving the Rainbow Warriors a talented low post combo. As for the two Gaucho seniors who will be honored tonight, both have had important impacts on the team both on the court and off the court. Boswell ranks third in UCSB history in three-pointers made, finishing last season as the Big West Sixth Man of the Year and All-Big West Honorable Mention. This past week, the mechanical engineering major was named as UCSB’s male Big West Scholar of the Year for the second consecutive time. Moore began his career as a transfer walk-on player last season before earning a scholarship this past season. The forward certainly produced both on the court with his physical and smart play, and in the classroom as he will secure his degree this spring. Tip-off against Hawaii is scheduled for 6 p.m. at the Thunderdome. The game will be broadcasted on ESPNU. 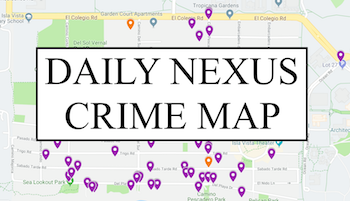 A version of this article appeared on page 1 of March 6th’s print edition of the Daily Nexus. 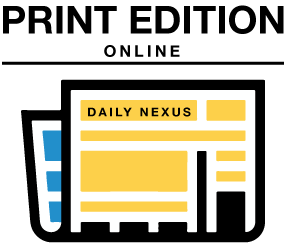 Photo by Peter Vandenbelt of the Daily Nexus. Why does your first paragraph say that it’s an ESPN game, when in fact it’s on ESPNU? Big Al clarifies as much in his quote. For whatever reason, journalists seem to have an awfully hard time distinguishing between the various networks under the ESPN umbrella. It’s really not that hard.